Good news for Bobcat owners-No need for a permit from ODA-Sorry HSUS and PETA and the rest of the story coming in February concerning Tiger Ridge owned by Kenny Hetricks 10 animals taken by the ODA; Hetrick is a retired and well respected police officer. Leo, Hetricks lion, was abused and then euthanized during his time at the Ohio Penitentiary for exotic animals. The rest of his animals sent to three separate compounds across the US at the expense of the ODA. In other words, TAXPAYERS are paying for all of this-Ohio has wasted TAXPAYER money to abuse private owners with an illegal and unconstitutional law taking animals from their longstanding, rightful and legal owners due to Fanatical Animal Rights Terrorists push for the creation of such laws to end relationships between people and animals. Governor Kasich is believed to be behind this law due to an incident that did not receive proper investigation by the FBI. No member of the public was harmed in any way; and in general, the incident was poorly handled by Sheriff Lutz. No one is fooled into believing that Thompson cut the locks on cages when he had the keys. To scientists, the bobcat is a species of the lynx genus –”lynx rufus” to be precise. 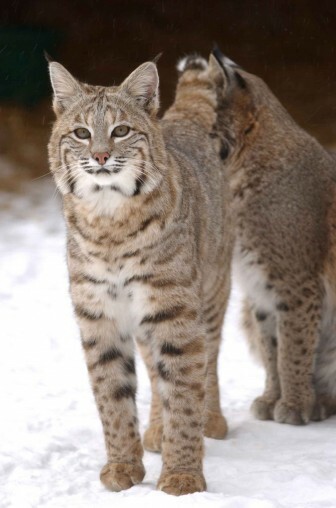 But the state Court of Appeals brought good news to Federer, ruling that private ownership of a bobcat isn’t banned because the Ohio legislature didn’t explicitly include it in a 2012 law regulating possession of dangerous wild animals. from a Montana breeder. The bobcat — named Thor — weights 24-28 pounds, is declawed, stands as “tall as an average man’s knee” and doesn’t go outside, according to court papers. Federer had no problems getting an annual license from the DNR until 2014, when the agency denied his application based on the 2012 law. That law requires a permit from the state Agriculture Department to get a DNR license. “Throughout that time, the bobcat has never exhibited any aggressive behavior,” according to Federer’s brief. Thompson had been home for only a few weeks after serving a prison term for a gun crime when he released his exotic pets and committed suicide. “Exotic animal ownership on Ohio changed forever after the infamous incident,” DNR said in its brief. Among the other animals banned for private ownership and sale are bears, lions, jaguars, Cape buffaloes, elephants, crocodiles, rhinoceroses, leopards, Komodo dragons, tigers and northern night monkeys. The law makes exceptions, including for accredited zoos, aquariums and wildlife shelters, research facilities, licensed circuses and veterinarians temporarily caring for the animals. When Federer challenged the DNR decision, a Franklin County judge ruled in his favor — and now the Court of Appeals has agreed. The legislature used common names for animals on the list and didn’t mention bobcats, the court said in a unanimous opinion written by Judge Susan Brown. The task force also recommended leaving coyotes out of the definition of dangerous wild animals — another recommendation that the legislature followed. The state is reviewing the decision to determine whether to appeal further, according to Kate Hanson, a public information officer for the Ohio Attorney General’s Office. The 2012 law caused legal problems for other exotic animal owners as well. The situation that’s drawn the most media attention recently involved a 41-year-old black bear named Archie that had been owned by Debra and Jeffrey Gillium since 1981. Like Federer, the couple had state licenses until the law changed. The Gilliums, from Lodi, had unsuccessfully sued the Agriculture Department to block the state from seizing Archie. However, the Gilliums had Archie euthanized in December, saying the bear was in poor health. Erica Hawkins, the Agriculture Department communication director, said she’s aware of only one other dispute in litigation. It involves Kenneth Hetrick, who owned 10 animals seized by the department from his Tiger Ridge Exotics in Stony Ridge last summer. The department transferred six tigers, a leopard, a liger, a cougar and a Kodiak bear to out-of-state wildlife sanctuaries. That case is scheduled for argument in Wood County Common Pleas Court in February, Hawkins said. ~ by topcatsroar on January 14, 2016. It is fine if you want to re-publish the hard work of others if you make clear it is not your own. But note that your use of this story is contrary to the licensing requirements of the source, GreatLakesEcho.org. Those requirements include retention of the reporter’s byline, an acknowledgement of Echo as the source and a link to the Echo story. A random link at the end of a few paragraphs of your own is insufficient. This treatment is misleading and contrary to our licensing requirements. We look forward to the proper attribution.